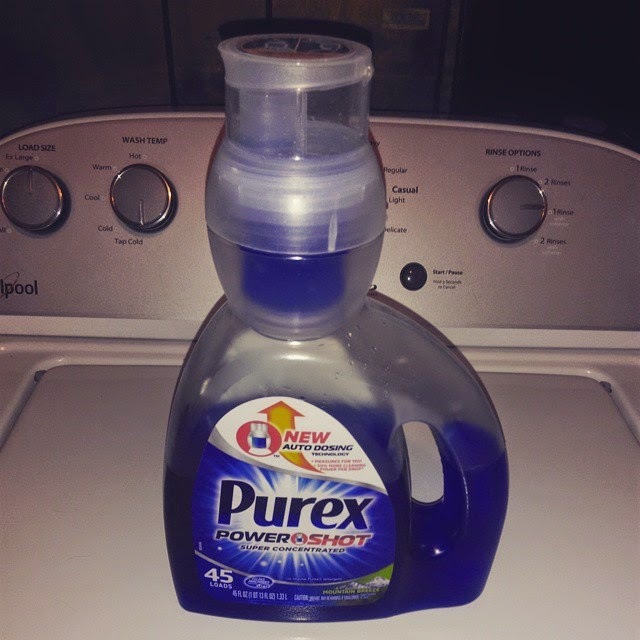 I would like to take the chance to introduce you to one of the newest products being offered by Purex®. 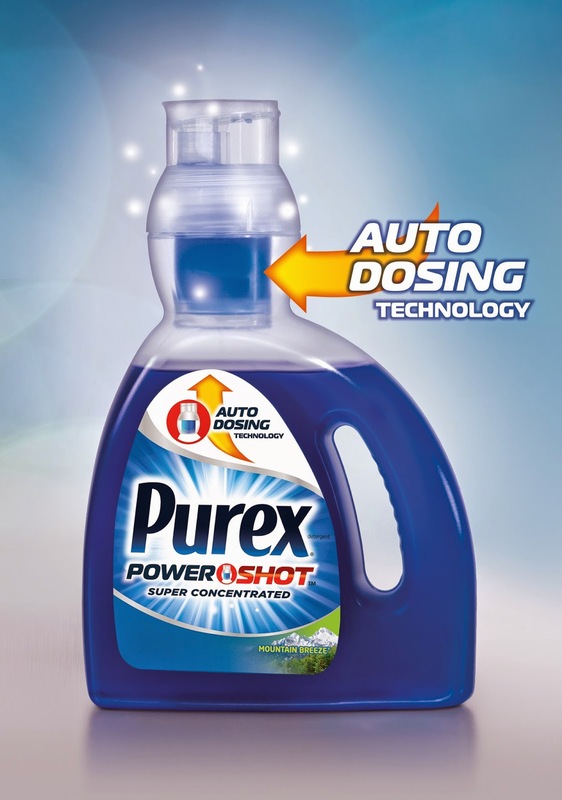 The Purex® PowerShot Laundry Detergent is unlike any bottle of detergent you have yet to see on store shelves. I know exactly what you are thinking right now. "How so?" Right? Well it's all in the new bottle design. Gone are the days of trying to find which line on the detergent cap you should use for your laundry. Gone are the days of guessing if you have too little, just enough, or too much detergent in your laundry. This bottle takes the guess work out of it. The bottle is shaped like a typical detergent bottle, however you will notice a little chamber at the top of the bottle near the spout. This is where the magic happens. Instead of having a removable measuring cup, there is a lid that you lift up revealing a spout. That little chamber inside will automatically fill up with just the right amount of detergent for a normal load of laundry. When you pour the detergent into your washing machine, the chamber will refill itself and it will be ready for next use. If you have a large load, or a heavily soiled load you can use a second dose. You don't have to worry about spills, or making a mess anymore. Doing laundry is truly becoming easier and easier. Sorry kids and men, there are no more excuses not to do laundry! I am about halfway through my bottle, and I am very pleased with how it works. My clothes come out looking their best, my colors don't fade, and overall my clothes just look great. The bottle is so easy to use, it makes the whole bit of doing laundry that much easier. The detergent offers a light scent which isn't too overpowering, but enough to give you that clean fresh scent. The Purex® PowerShot will be available in stores this month, so be looking for it on store shelves soon! 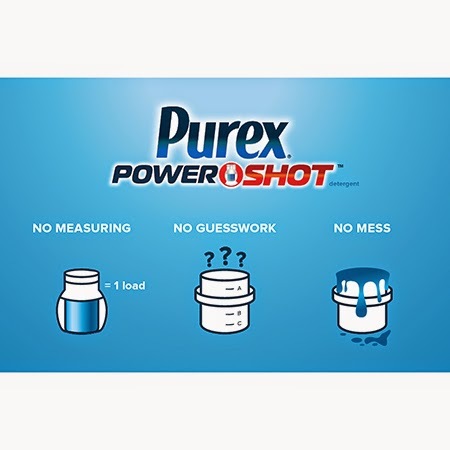 In the meantime, you can enter to win a bottle of the Purex® PowerShot right here! 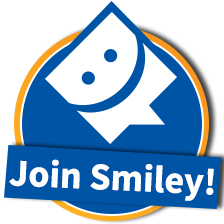 This is only open to USA residents. Prize will come in the form of a coupon for a FREE bottle.